කට්ටියම දන්නවනේ ඉතින් Microsoft ල කාලෙන් කාලෙට ලොකු windows updates release කරනවා කියලා. සාමානයෙන් මේ ලොකු windows updates release වෙන්නේ අවුරුද්දකට දෙපාරක්. අප්‍රේල් වල එක්කුයි ඔක්තෝම්බර් වල තව එක්කුයි release වෙනවා. අනිවරෙන්ම මේ ලොකු update එකක් 3GB to 4GB වගේ වෙනවා. දැන් අප්‍රේල් ලග ලගම එනවා. ඒ කියන්නේ ලොකු windows update එකක් අත ළඟ. මුලින්ම බලමු දැනට release වෙච්ච updates වල history ඒක. 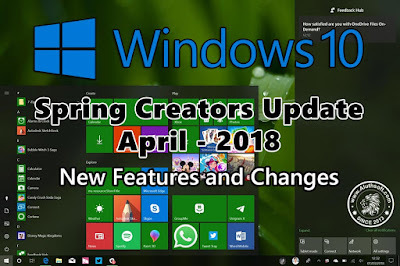 එහෙනං මේ අප්‍රේල් වලදී එන update එකේ නම තමා April 2018 Update. මේක එනවා කියලා කියන්නේ අප්‍රේල් 10 වගේ වෙද්දී. Insiders ලට නං දැනටම මේක ඇවිල්ල තියෙන්නේ beta එකක් විදිහට. Microsoft ල කියන විදිහට මේකේ ලොකු changes ටිකක් තියනවා. සාමාන්යෙන් windows update එකක් install වෙද්දී ඒක කොටස් කිහිපයකට ආනුව තමා වෙන්නේ. මුලින්ම update ඒක download වෙනවා. ඊලග කොටස තමා Online install time කියන්නේ. ඒ කියන්නේ computer ඒක on වෙලා තියෙද්දී install වෙන ඒවා ටික වෙන්නේ මේ කාලේදී. තුන්වන කොටස තමා Offline install time කියන්නේ. මේ time එකේදී අපිට computer ඒක use කරන්ඩ බැ. ඉතින් මේ අලුත් update එකේදී මෙන්න මේ Offline install time ඒක සැහෙන්න අඩු කරලා තියෙන්නේ. මේකත් නිකන් Facebook timeline ඒක වගේ සීන් එකක්. 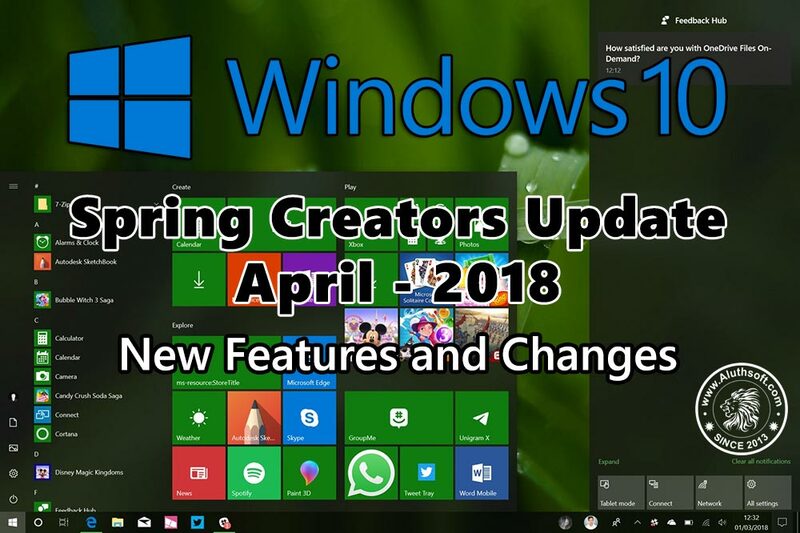 මේක කලින් ආපු Fall creators update එකේදී එවන්න තමා Microsoft ල plan කරලා තිබ්බේ. එත් ඒ වෙද්දී මේක complete වෙලා තිබ්බේ නැ. 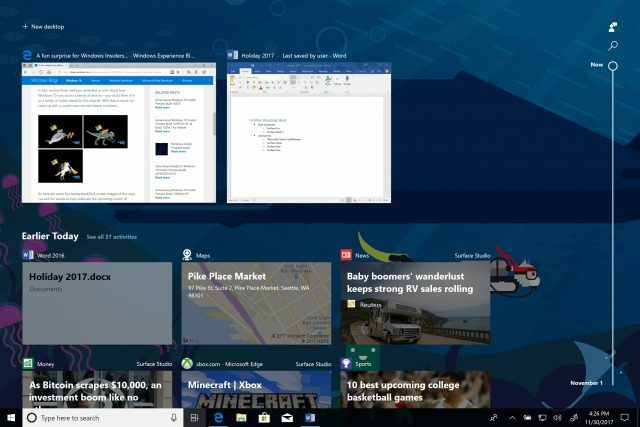 දැනට අපි windows key + Tab press කරාම recent apps වලට යනවා. April 2018 update එකේදී මේක අපි කලින් use කරපු apps වල timeline එකක් වෙනවා. අපිට scroll කරලා අපිට කලින් activities වලට යන්න පුළුවන්. April 2018 update එකේදී තව එන feature එකක් තමා Bluetooth Quick Pairing. මේකෙන් අපිට පුළුවන් Bluetooth device සෙනිකව ඒක click එකකින් pair කරගන්න. අපිට කරන්ඩ තියෙන්නේ Bluetooth device එක on කරලා pairing mode එක on කරන්න විතරයි. එතකොට notification එකක් එනවා. ඒක අපුහම connect click කරාම වැඩේ ගොඩ.පොඩි අවුලකට තියෙන්නේ මේකට manufacturer support එකත් ඕනේ. ඒ කියන්නේ දැනට තියන Bluetooth devices මේකට support නැ. දැනට මේකට support කරන්නේ Microsoft Precision Mouse එක විතරයි. 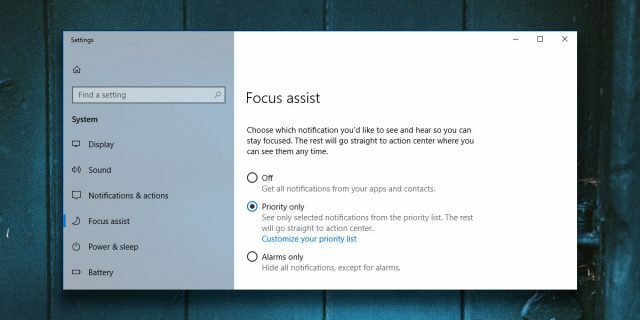 Windows 10 වල notifications වෙලාවකට ඒක දිගට එන්න ගත්තහම ඉවරයක් නැනේ. මලකරදරයක් වෙනවා. ඉතින් මේකට විසඳුමක් විදිහට Focus Assist feature එකක් මේ update එකේදී එනවා. මේකෙන් පුළුවන් අපිට notifications එක්කෝ off කරන්න. නැත්තන් priority එකක් දෙන්න. මේක Android වල තියන Do not disturb වගේ. Settings window ඒක අලුත් Acrylic blur effects එක්ක අලුතෙන්ම redesign වෙලා තියනවා. දැන් අපිට startup apps configure කරගන්න පුළුවන් settings වලින්ම. අලුතෙන් Font settings ඇවිල්ල තියනවා. තව මේ වගේ පොඩි පොඩි changes ගොඩක් තියනවා මේ අලුත් settings app එකේදී. 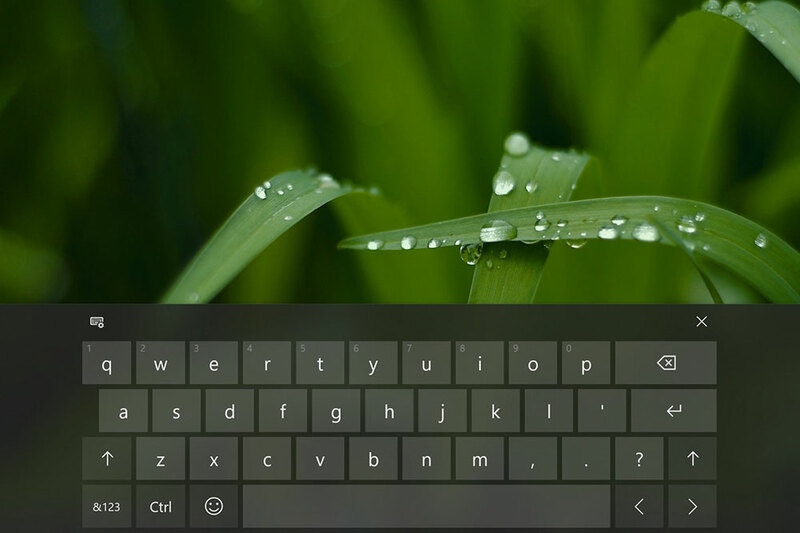 Touch keyboard එකේ look එකත් දැන් වෙනස් වෙලා. එකටත් අර මන් කලින් කියපු Acrylic blur effects එකතු වෙලා තියනවා. Cortana සැහෙන්න අලුත් වෙලා දැන්. Interface එකත් වෙනස් වෙලා. 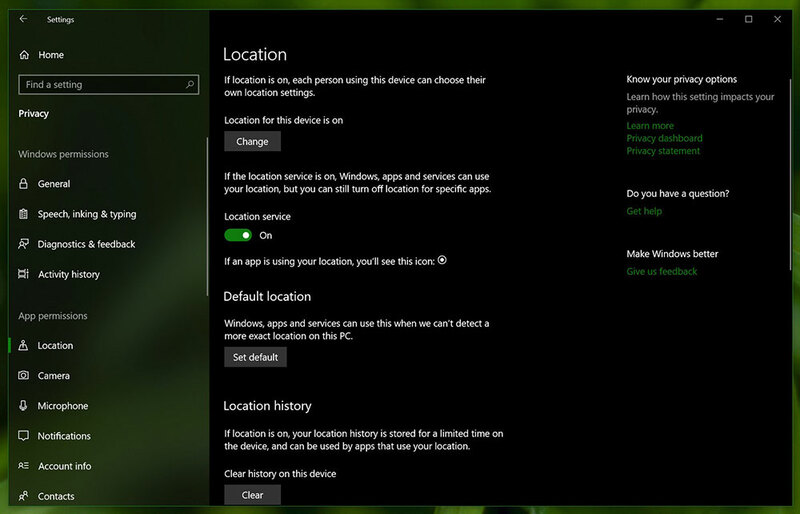 Cortana ගේ Lists/Collections app එකෙන් දැන් අපිට list හදාගෙන ඒවා අනිත් devices එක්ක sync කරන්න පුළුවන්. 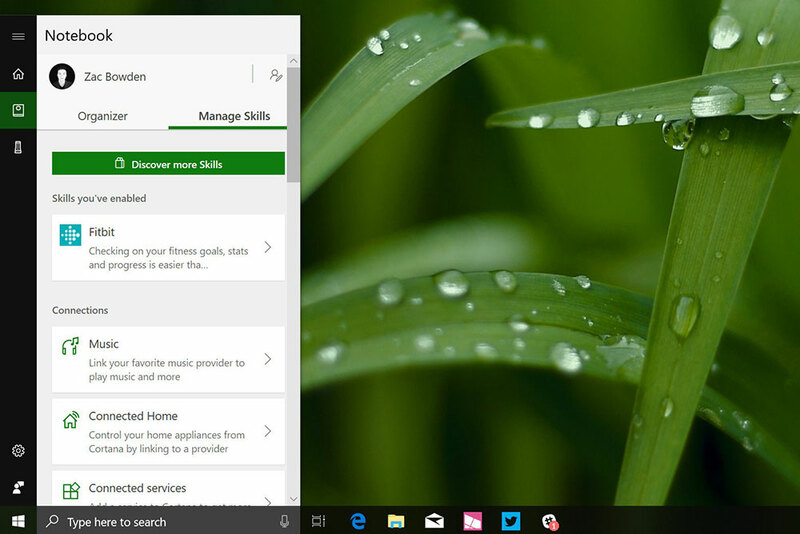 අපේ Profile picture එකත් දැන් Cortana ගේ මෙනු එකේ display වෙනවා. ඉතින් මේවට අමතරව තව පොඩි පොඩි changes ගොඩාක් තියනවා. ඒවා ඔක්කොම මෙතන දාන්නත් බෑ. විශේෂයෙන් කියන්න ඕනේ ගොඩක් windows 10 use කරන අය තාම ඉන්නේ ආදී කාලේ. එ කියන්නේ එයාල තාම use කරන්නේ අර windows 10 release වෙද්දී ආපු එකමයි. තවත් කට්ටියක් ඉන්නවා windows update කරන් නැති අය. ඒ කට්ටිය හිතන් ඉන්නේ windows update කරාම හොද නැ, අරව වෙනවා මෙව්වා වෙනවා. bla bla blaaa..... Update වැඩක් නැත්තන් Microsoft කාරයෝ update එවන් නැනේ. මම නං recommend කරන්නේ update කරන්න කියලා. උඩදී කිව වගේ 4GB update එකක් එන්නේ මාස 6කට සැරයක් වගේ. මාසෙට සැරයක් 200MB වගේ cumulative update එකක් එනවා. Update කරාට පස්සේ slow වෙනවා කියලා කියනවා නං ඉතින් එහෙම වෙන්නේ use කරන කෙනාට අනුව හා එය ඒක use කරන විදිහ අනුව. මම අයෙත් කියන්නේ Windows update කරන්න. අලුත් features අත්විඳින්න. Post ඒක හොදයි නං Comment/Share කරන්න අමතක කරන්නත් එපා.